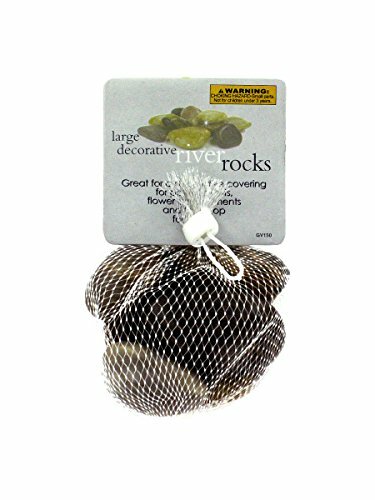 Bulk Buys Home Garden Large Decorative Yard River Rock Stones Case Of 24 | Fountain City Art Ctr. Great for a decorative covering for potted plants, flower arrangements and table top fountains. Rocks have a natural look. Stones vary in size and color. Set comes packaged in a net bag with hanging card.